Summer is getting closer and that means that grilling season and get togethers are right around the corner. 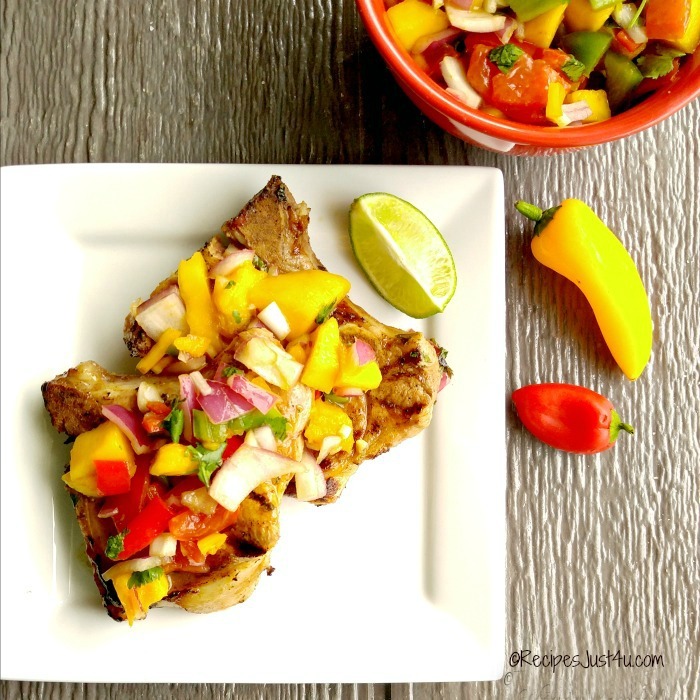 If you are looking for a tasty appetizer to start off your next BBQ, you can’t go past this recipe for mango salsa and homemade tortilla chips. Looking for an easy party appetizer? 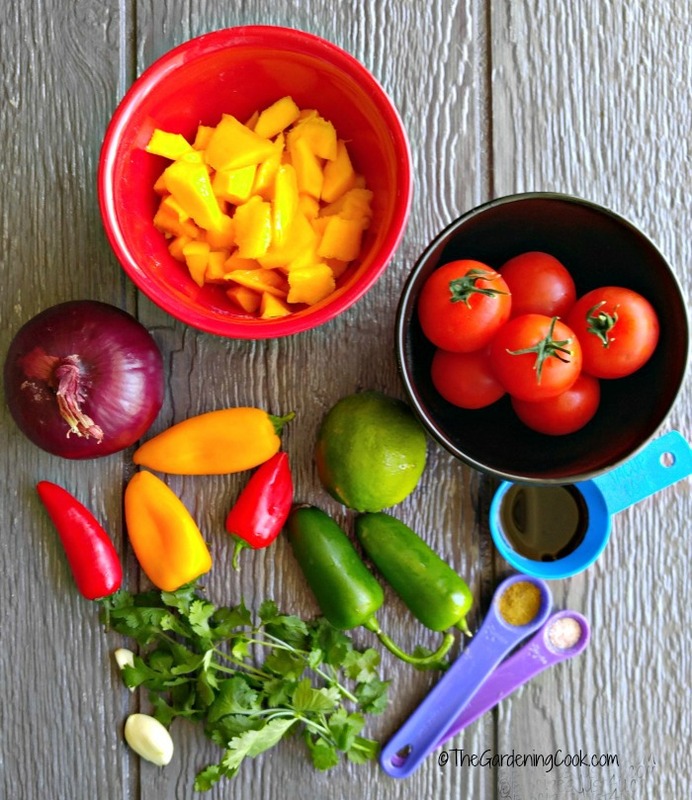 Try this recipe for mango salsa and homemade tortilla chips. I LOVE salsa. It is the prefect low calorie dip, but it is full of flavor and perfect to use with both chips and also with veggies to dip into it. 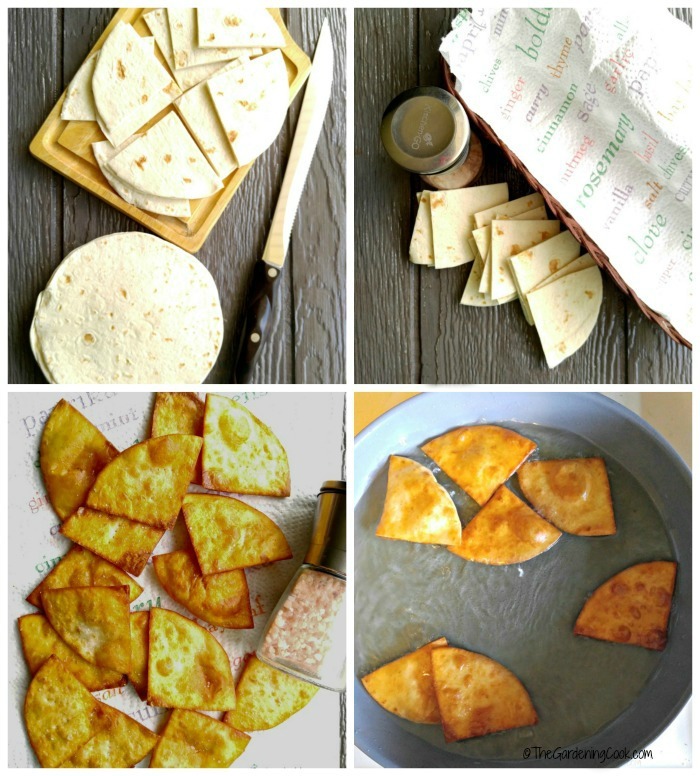 But making your own homemade tortilla chips is super easy to do and they taste amazing, so I am doing that this time, too. Plus, homemade tortilla chips have fewer chemicals and just look so much nicer than store bought ones when you present the appetizer. Did you know that tortilla chips even have their own National day? 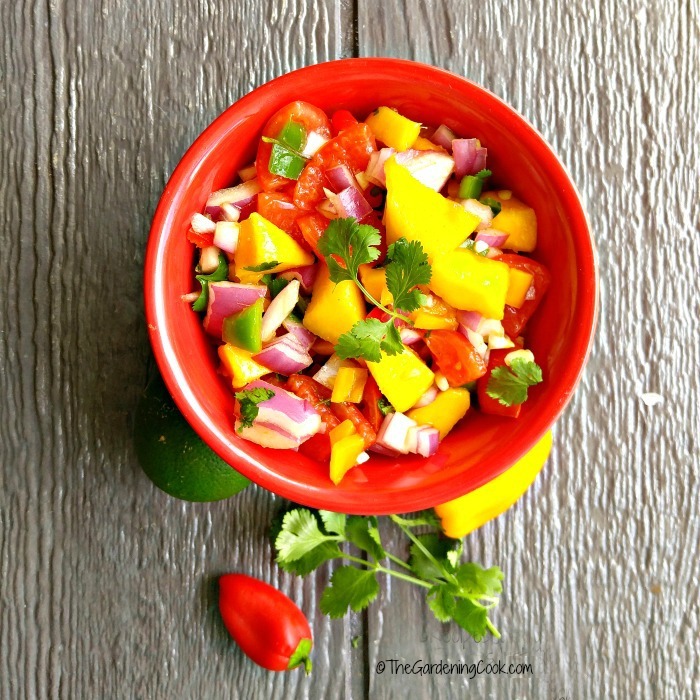 I knew that I wanted a colorful salsa for this recipe. Summer time, for me, is serving food that is a feast for the eyes as well as the body. These ingredients are so great looking, I just know the salsa will be amazing. Look at that color!! I also added some jalaneño peppers to give the salsa some heat. I removed the seeds from my peppers but if you like really spicy foods, you could leave them in. Cilantro adds a nice peppery kick to this recipe and makes a great addition to a kitchen herb garden. See my tips for growing cilantro here. I don’t know about you, but I HATE a watery salsa. I want my salsa to stick to whatever I decide to dip into it, and if it is too runny, it doesn’t do it for me. So seeding my tomatoes is the first step in this recipe. It gets rid of both the extra seeds and extra juices and makes the consistency just perfect. Just a few chops with my chef’s knife and a quick swirl in a mixing bowl and the salsa is done. How easy is that? Now on to the homemade tortilla chips. These are super easy to do too. I just cut up soft corn tortillas into four triangles and heated some canola oil in a large skillet and heat it. The tortilla triangles go into the hot oil for a few seconds, get a quick flip and then are set to drain on paper towels to remove the extra oil. Super fast and easy, and then a grind of pink sea salt and they are ready to serve. This salsa has the most amazing flavor. It is a wonderful blend of citrus, spice and sweet mangoes, with the tang of red onion. And remember those colors? It’s the perfect way to start a BBQ party! This mango salsa and homemade tortilla chips recipe comes together in about 15 minutes, so it is perfect for a last minute gathering! 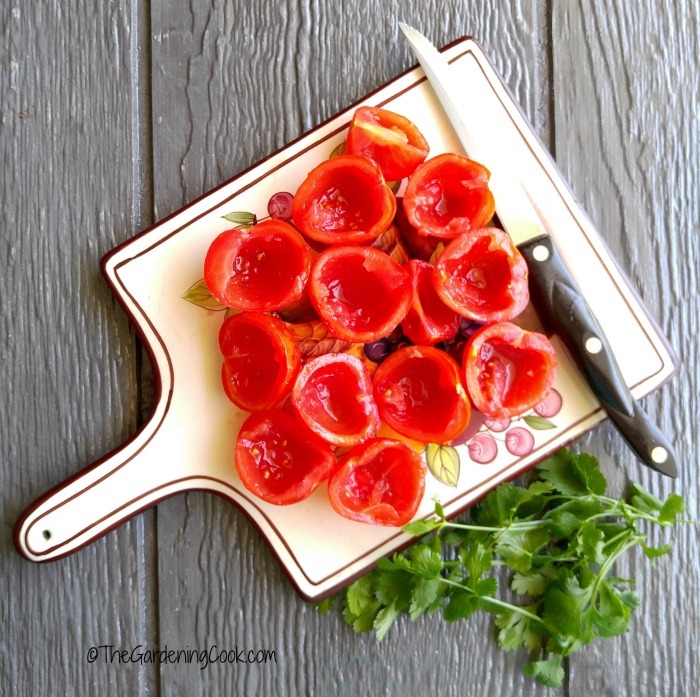 This salsa is perfect served as a party appetizer but is also amazing when served on top of a grilled protein, too, and adds a great flavor to your barbecued meat. 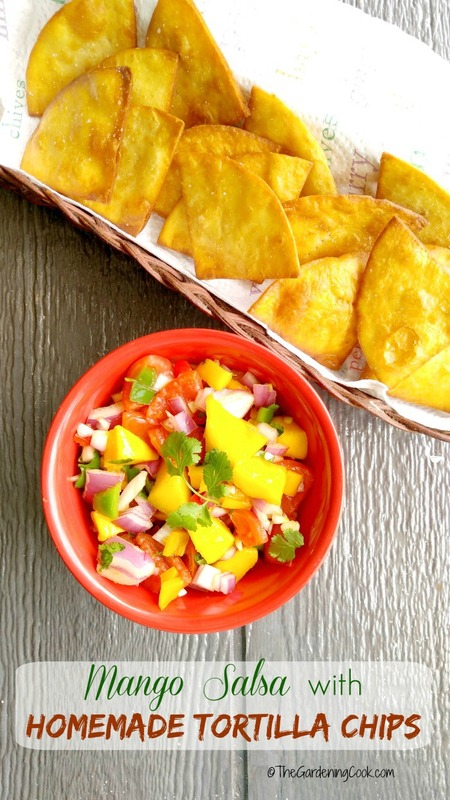 Why not make a batch of this mango salsa and homemade tortilla chips for your next BBQ? Here is the recipe. 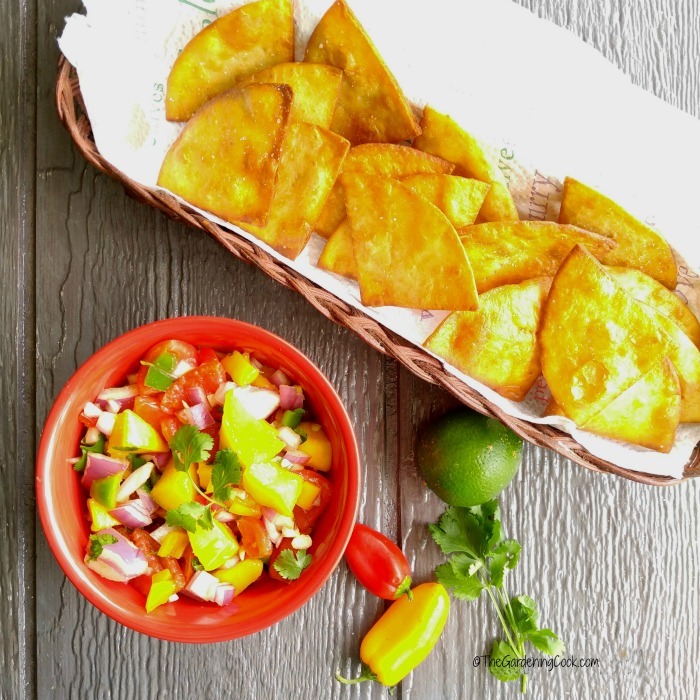 If you are looking for a tasty appetizer to start off your next BBQ, you can't go past this recipe for mango salsa and homemade tortilla chips. For the homemade tortilla chips. Seed the tomatoes and remove the extra juices. Remove the seeds from the jalapeño peppers and chop the rest of the veggies. Combine the tomatoes with the rest of the ingredients for the salsa in a mixing bowl and combine well. Set aside while you make the tortilla chips. Slice the corn tortillas in half and then in half again. Each tortilla will give you four triangles. Heat the canola oil in a large, deep skillet over medium high heat. Test the cooking temperature by adding one of the tortilla triangles. If it bubbles, the oil is hot enough. Add the rest of the tortilla triangles a few at a time, being careful not to crowd the pan. Flip them after about 1 minute to brown on the other side and cook another minute. Remove to paper towels and repeat with the rest of the tortilla triangles. 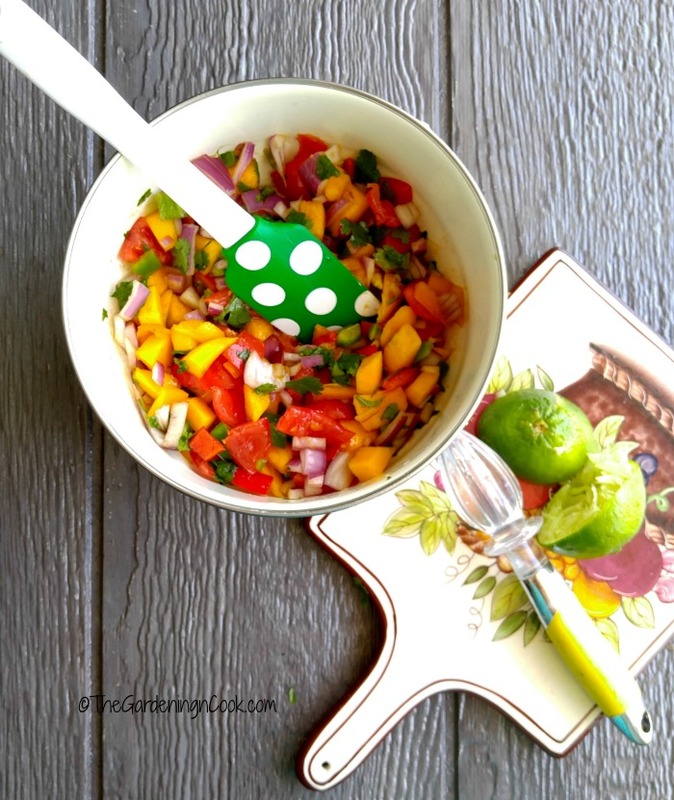 Sprinkle with sea salt and serve with the mango salsa. This looks delicious! I love chips and dip, and this dips looks healthy but still has some spice. Just the way I like it.